The roomboard for this week is a beautiful study featuring artwork by Laurenmary. Her Swedish Dala Horse pieces are complimented by a striking palette of colors from cyan blue to a calm citrus orange. Check out the links below to see where each part of the roomboard come from! 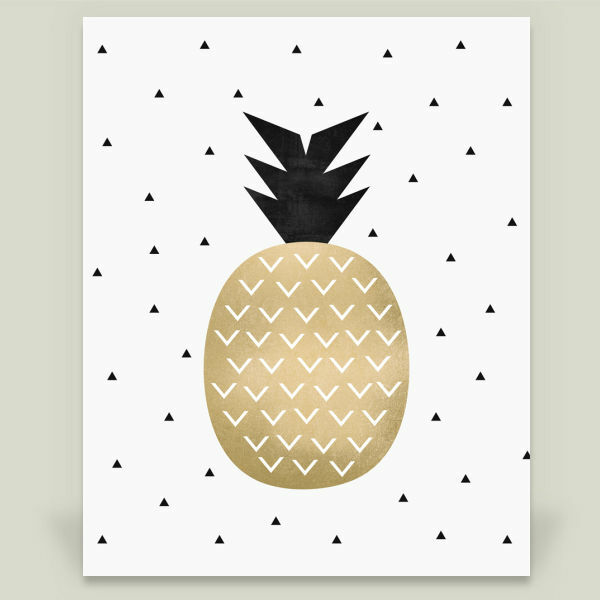 This week’s roomboard features Red Fawn Designs, a wonderful artist that creates cute, intricate designs for BoomBoom Prints. Area rug, chandelier, and sheep! This soft haven of a nursery can be the perfect escape for your little princess. Click the links below to check out the various products used in this roomboard. Fall is fast approaching! 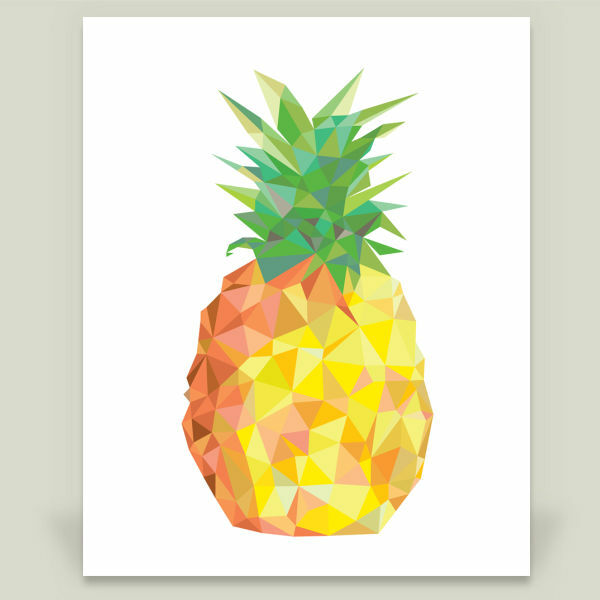 To celebrate, we’ve gathered a collection of autumn-themed prints by BoomBoom Prints artists that are full of beautiful reds, oranges and yellows. 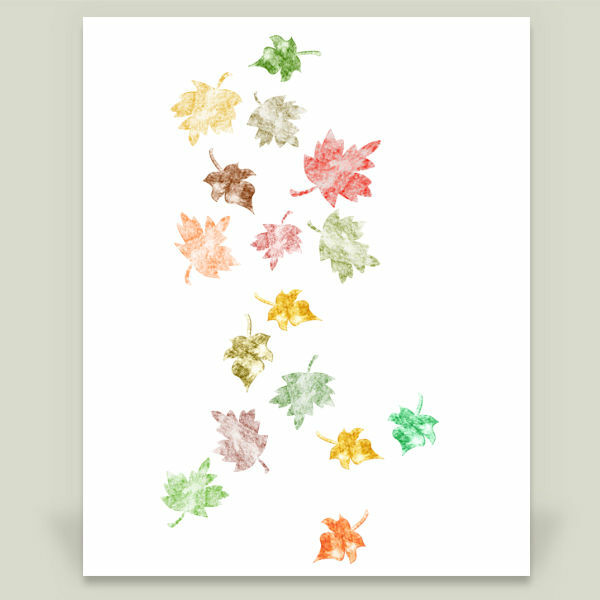 Bring fall indoors with this “Fall Leaves” print by artist Sugar and Bean. 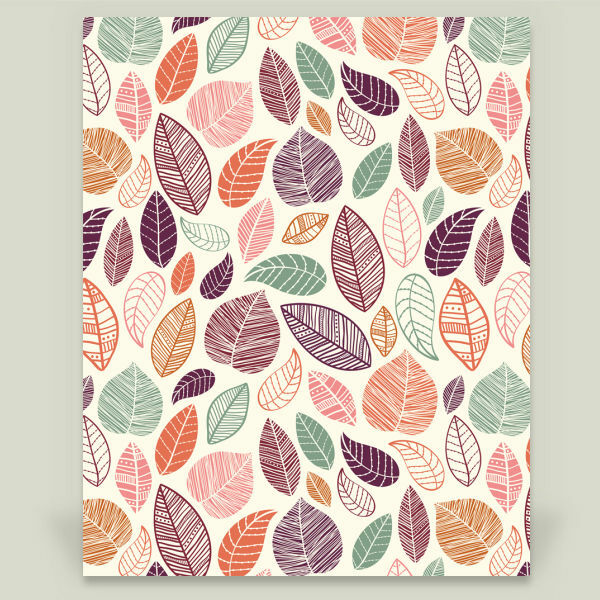 Look at how much fun these leaves are having in this adorable “Free Fall” print by Lili Batista! 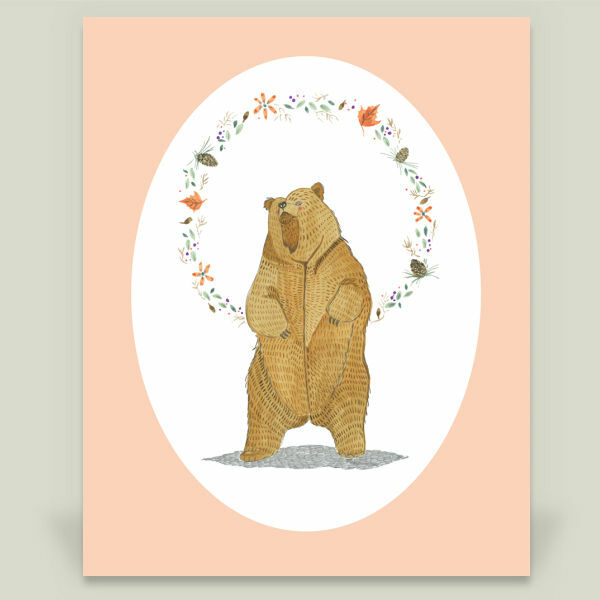 This “Autumn Bear” by artist Barbara Azul mingles traditional and modern, bringing style to autumn. Simple and Elegant. 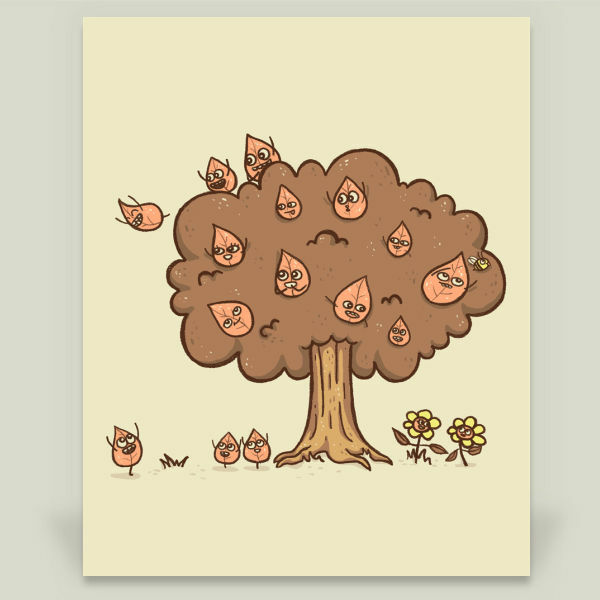 “Flock of Trees” print by artist Annisa Tiara Utami. 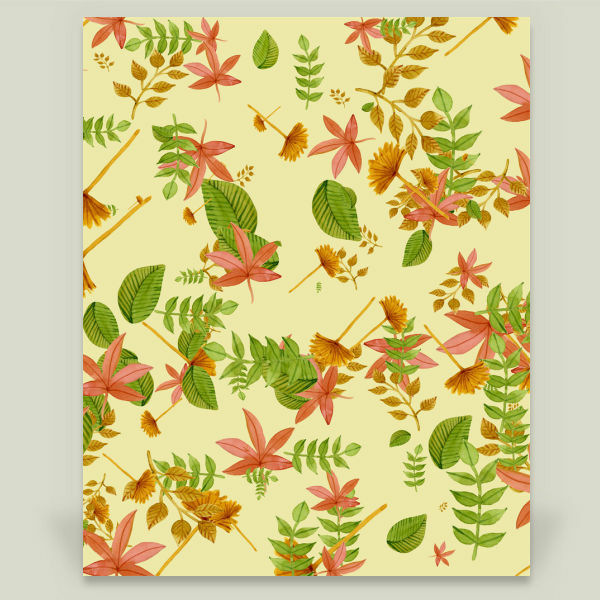 We’ll gladly “Welcome Fall” if the leaves are as bright as this print by Donna M Condida. 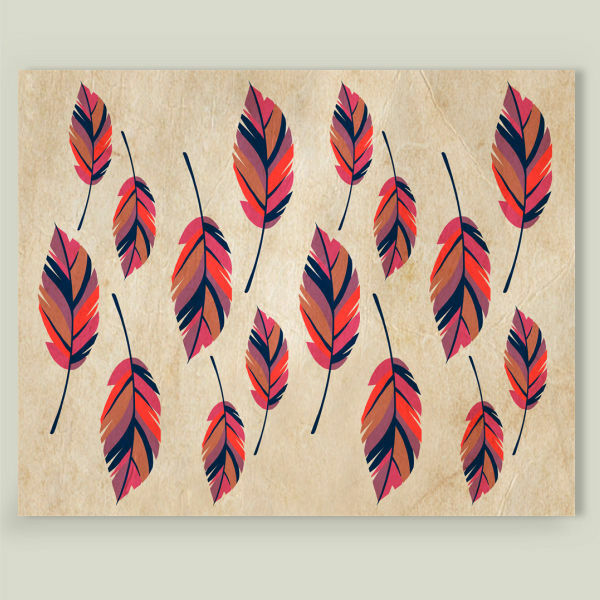 We love the whimsical “Scattered Feathers” and bold colors in this print by Kat Rutt Design! The reds and oranges in this piece are so warm! 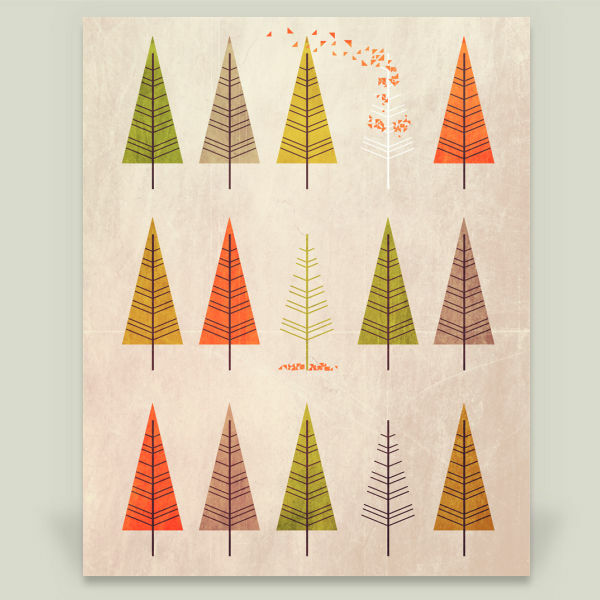 “Vintage Autumn Foliage” print by artist Gaspar Avila. She looks like she is off to the first day of school, the true first day of fall! 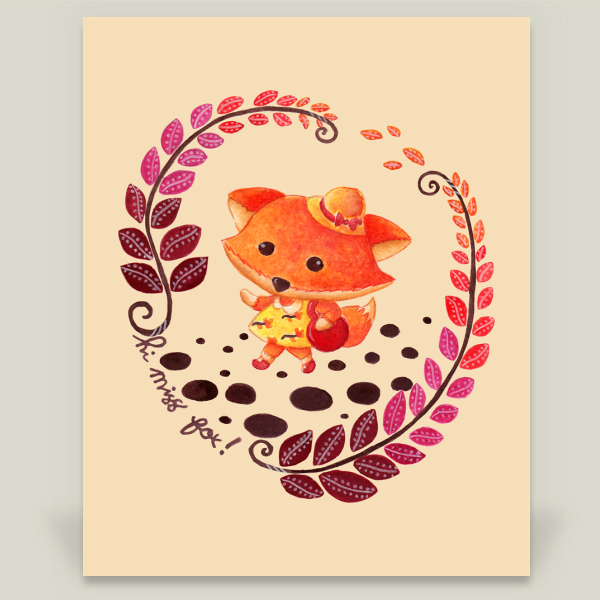 “Hello Miss Fox” print by artist Haidi Shabrina! 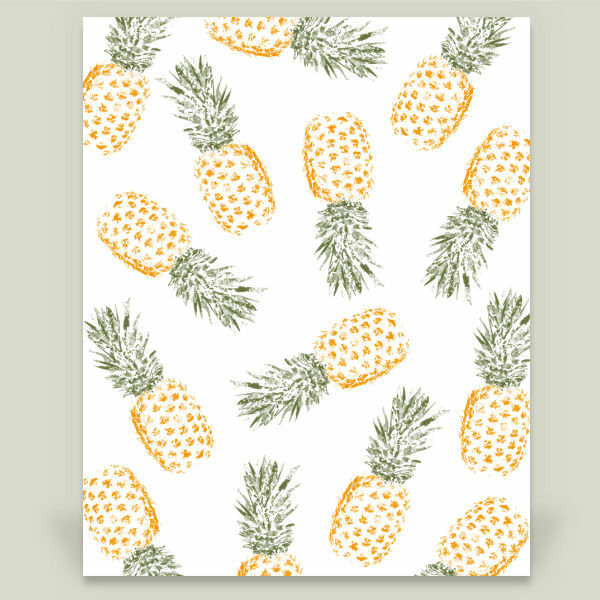 Have any other favorite fall prints on BoomBoom? Share them in the comments! 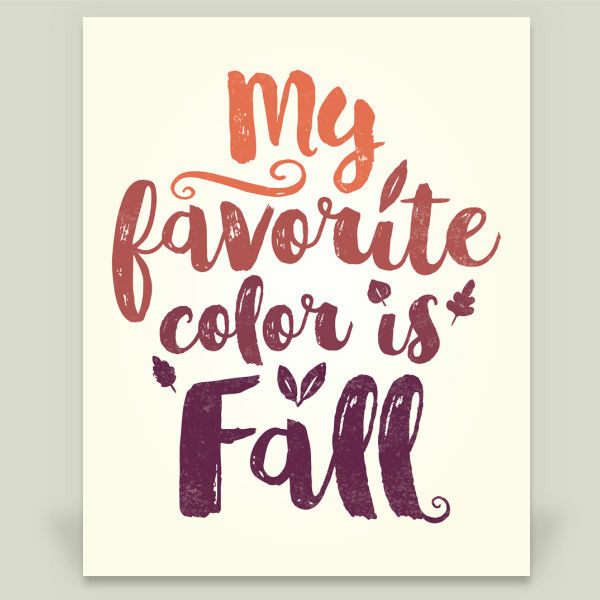 Can’t get enough of the autumn theme? 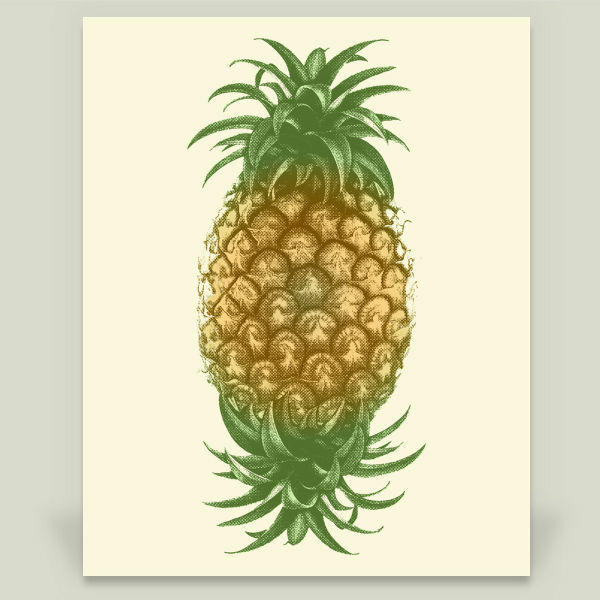 Check out more art by amazing BoomBoom Prints artists here! 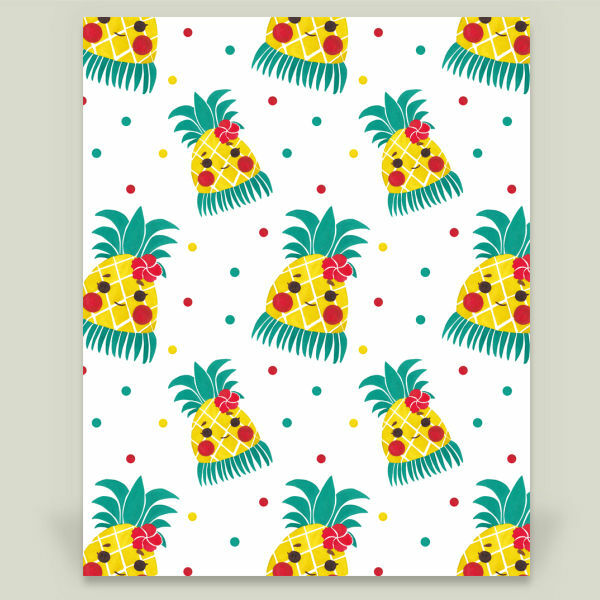 Cool down your summer! 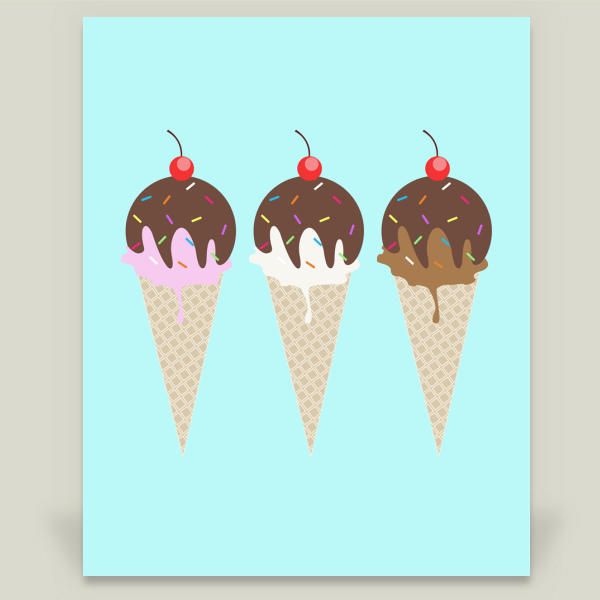 Check out these adorable ice cream prints by BoomBoom Prints artists… perfect for a nursery or your kitchen! Triple the ice cream, triple the fun! 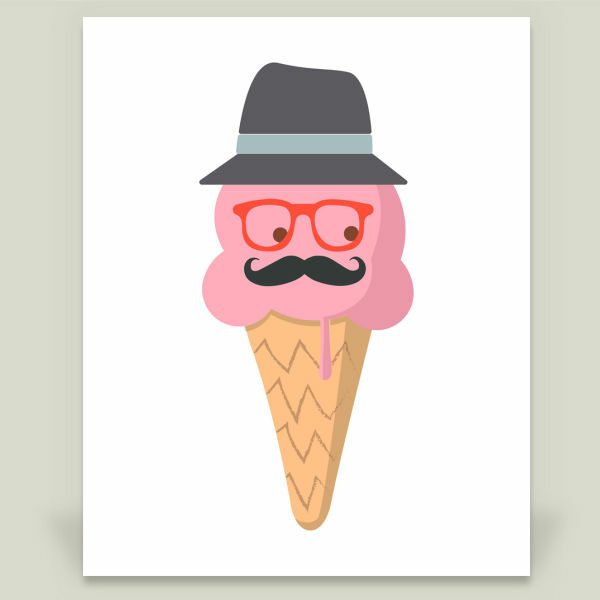 These “Neapolitan Ice Cream Cones” by artist Anais Balbas are sure to hit the spot. Who doesn’t love a cherry on top? 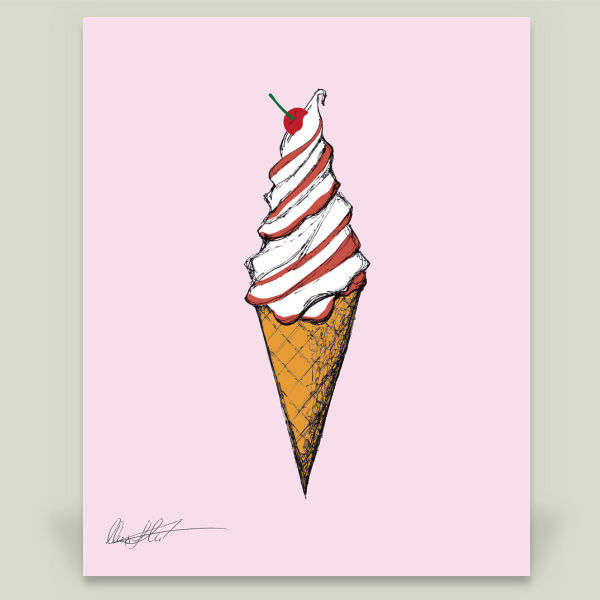 This “Ice Cream Fun” print by Nuart Media Group looks delicious! 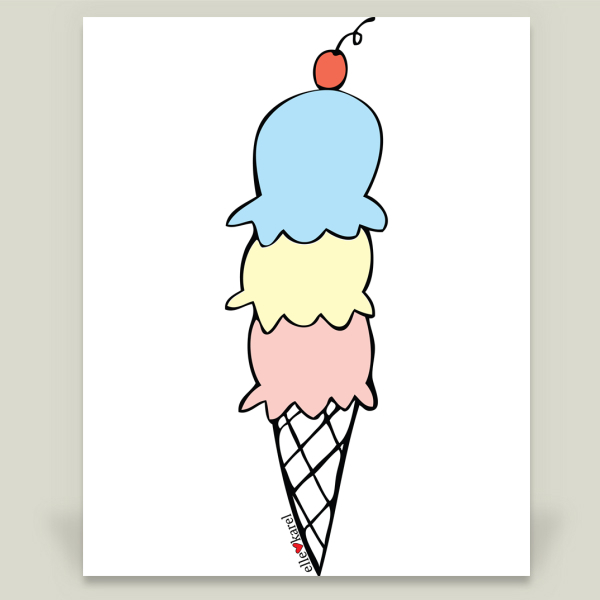 Let your ice cream flavor imagination run wild with this tasty “Ice Cream Color” print by artist Elle Karel. 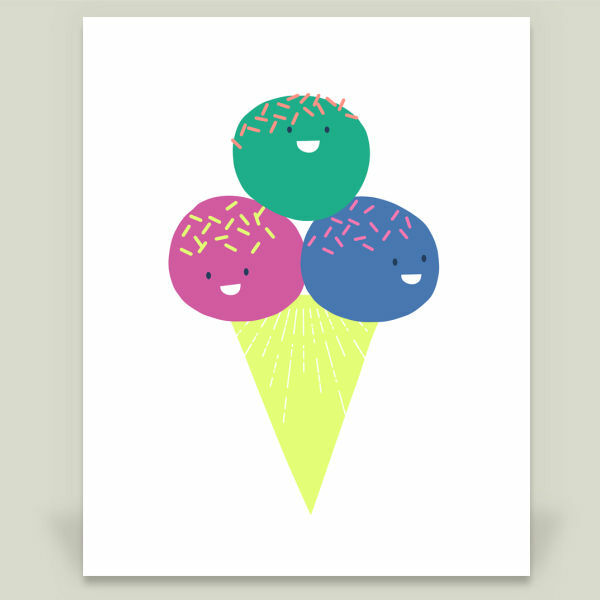 This “Hipster Ice Cream” cone print by The Funky Art Shop is waaaay too cute to eat! 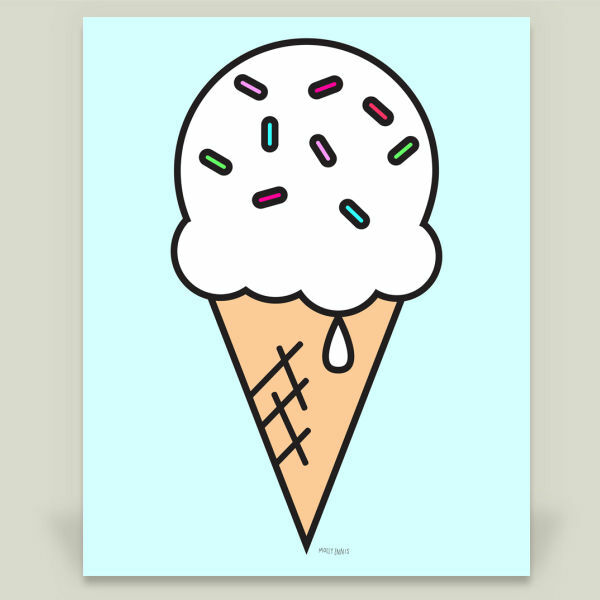 This “Ice Cream and Sprinkles” print by Kimberly Theresa Designs has our mouths watering! Be careful! 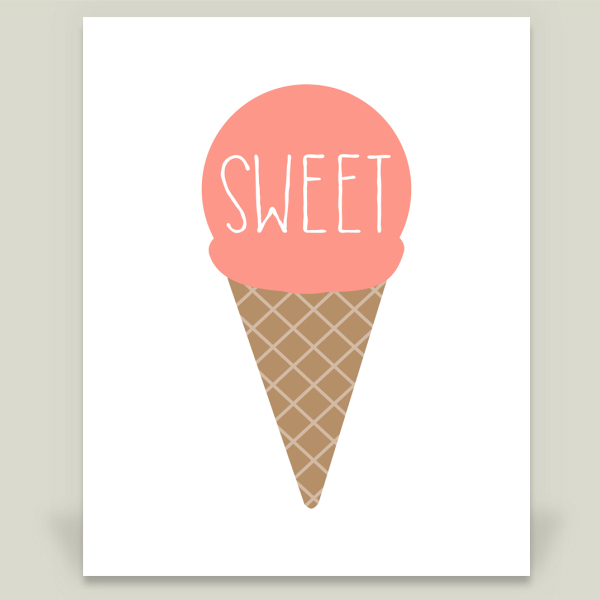 This “Sweet Ice Cream Cone Pink” by The Lion & The Lark will bring out the sweettooth in every little kid. Who said “Vanilla Ice Cream” is a boring flavor? 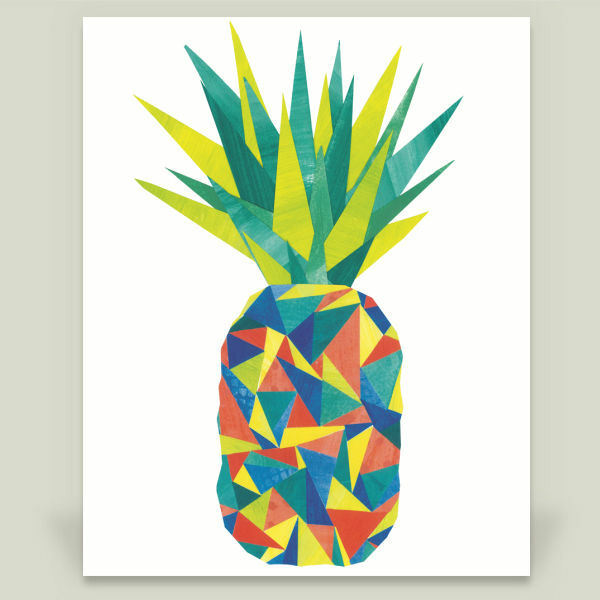 Artist Molly Ennis adds flair to this print with multicolored sprinkles! 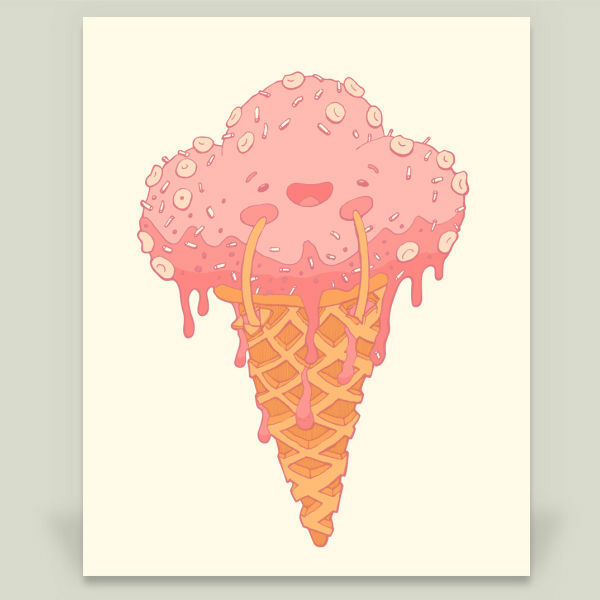 Give your ice cream cone a hug with this “Yummy” print by artist Grop! Look at those smiling faces! 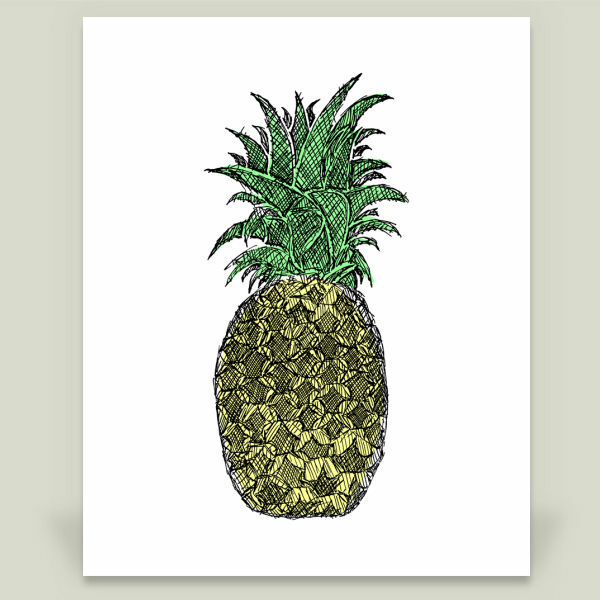 This adorable “I Melt For U” print is by artist Zoe Wodarz. 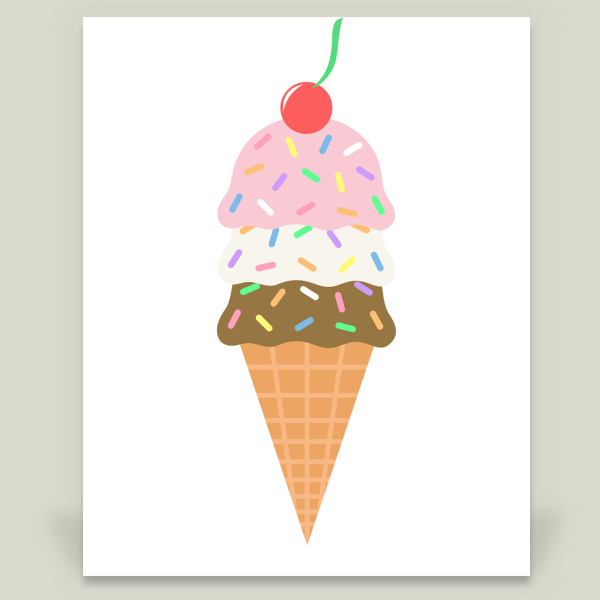 What’s your favorite ice cream flavor? 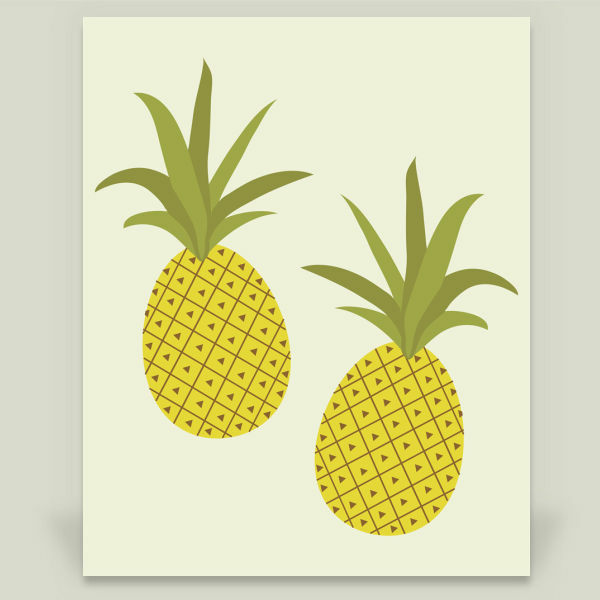 Share share with us in the comments! Office poll says chocolate the fav around here. Can’t get enough of these sweet treats? 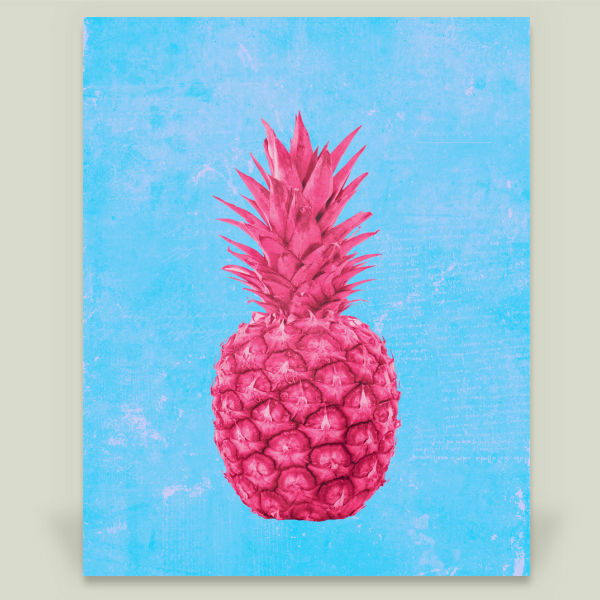 Check out more mouth-watering ice cream art by amazing BoomBoom Prints artists here!